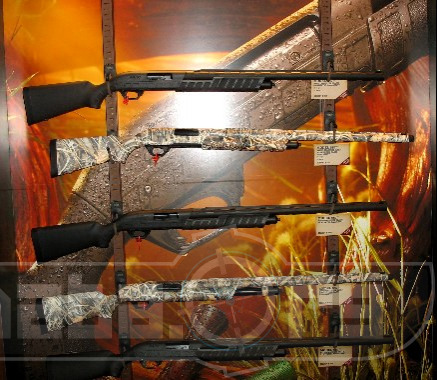 Nitro Mag Camo Combo Model 887™ by Remington is a nice and durable pump shotgun. Remington uses ArmorLokt™ a special process in which the metal on the receiver and barrel are sealed to protect them from external forces like scratches, and corrosion. This receive like the others by Remington is made from a solid piece of metal and then machined down to meet the proper specs. The fact that it's a combo doesn't mean that it comes with fries. It means that it comes with a second barrel of which swapping in and out is relatively simple once you've taken the proper safety precautions. so the gun comes with a 22" turkey barrel with HiViz® fiber-optic rifle sights and a 28" waterfowl with a HiViz sight, and Waterfowl and Super Full Turkey Rem™ Chokes. 2 for 1.